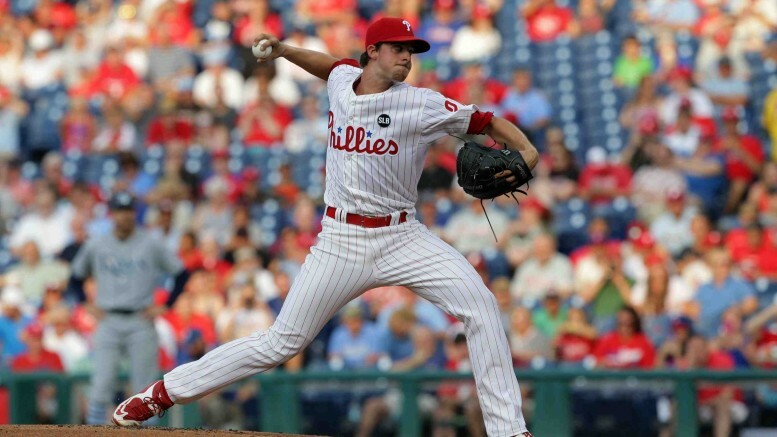 Can Young Phillies Sustain Early Success? I find this to be a fitting time to be writing about the potential resurgence of the Philadelphia Phillies. After all, they’re playing the St. Louis Cardinals, the team they essentially passed the torch of National League supremacy to in 2011. The 2011 National League Division Series truly did represent a changing of the guard in NL power. The Phillies had the best of their five straight NL East-winning seasons, racking up 102 victories behind a Hall of Fame rotation. But the Cardinals, with all the momentum in the world from a 23-9 finish (and help from the Phillies on the season’s final day) came in and stunned the Phillies. What has happened since has been a one-sided affair. The Phillies have not recorded a winning season since 2011, while the Cards have made five straight playoff appearances, won three straight NL Central titles, two pennants, and a World Series (in 2011). But 2016 might be the time the Phillies begin to trend upward again. It looks good early with a 16-11 record, and it just might stick for a while. Why? For one, how about a couple of young aces-in-the-making in Aaron Nola and Vince Velasquez? Nola put on a clinic against the Cards last night, spinning a seven-inning, two-hit gem in a 1-0 Philadelphia win. Forget, if you can, that the 22-year-old Nola is 2-2 with a 2.93 ERA. His peripherals are phenomenal; in 40 innings, he’s permitted only 25 hits and seven walks, striking out 44 batters. His WHIP is a minuscule 0.80. Velasquez, 23, is still an unknown — except to maybe a few lucky fantasy owners — but on April 14 became just the seventh pitcher in MLB history to rack up 16 strikeouts without walking a batter in a shutout as he dominated the San Diego Padres. Velasquez, brought over in a seven-player trade with the Houston Astros, also has tremendous all-around numbers. He’s 4-1 in five starts with a 1.44 ERA, but even more impressive are his 31 1/3 innings pitched with only 18 hits allowed, 10 walks, and 39 strikeouts. Both young pitchers are showing command and poise well beyond their ages. There are a lot of other moving parts for manager Pete Mackanin in his first full year on the job. Give him credit for not only ushering along a young team with absolutely no expectations, but also for seemingly finding an effective bullpen mix with no clear closer out of Spring Training. Mackanin found a reliable option in journeyman Jeanmar Gomez, who has never served as a situational reliever until 2016. Yet Gomez is a perfect 9-for-9 in save opportunities, and bridging the gap has been a smooth transition thanks to tremendous efforts from Hector Neris and David Hernandez, another well-traveled relief arm. If the Phillies have a major weak spot that could hinder them in 2016, it’s the offense. That’s not to say they can’t score runs or even hit for power. For what he still has left in the tank at 36 years of age, Ryan Howard is on pace for a 30-plus homer season, albeit with a .190 batting average. Carlos Ruiz is defying the odds at 37, contributing a .341 average three homers despite playing in just 11 games. And those are the guys on the way out. The youthful cogs in the lineup are going to go through ups and downs, but there isn’t much not to like about Maikel Franco. The 23-year-old has five homers and 15 driven in, this on the heels of a rookie campaign in which he blasted 14 long balls in just 80 games. Andres Blanco and Odubel Herrera are table-setters atop the lineup, with Blanco slashing .323/.400/.581 and Herrera hitting. 311 with a team-high four stolen bases. Yes, it is unlikely the Phillies can hang with the Washington Nationals and New York Mets in the top-heavy NL East. A postseason run is probably a couple of years away. But after years of former general manager Ruben Amaro’s stubbornness to begin the rebuilding process, the movement is finally in progress under new GM Matt Klentak. Be patient if you can, Philly fans. Things are headed in the right direction. Be the first to comment on "Can Young Phillies Sustain Early Success?"